For those considering purchasing this (and perhaps some other items), you can get a 10% discount by joining the Friends of the Library. This membership costs £32 per year (so almost pays for itself if you are buying a single copy of the collectors edition). It also gives a 15% discount on the Oxford University Press Shop (its not clear to me if this particular book counts for this extra 5% discount yet). This volume is an excellent introduction to the world of J. R. R. Tolkien. Recounting in images and words the story of his early years and life as a scholar and family man, the book also illustrates some of the primary items associated with The Hobbit, The Lord of the Rings, and The Silmarillion. These include manuscripts, drawings, watercolours, letters, family photographs, and private papers. It also includes his remarkably detailed and endlessly engaging maps of Middle Earth produced over many years an annotated in his own hand. 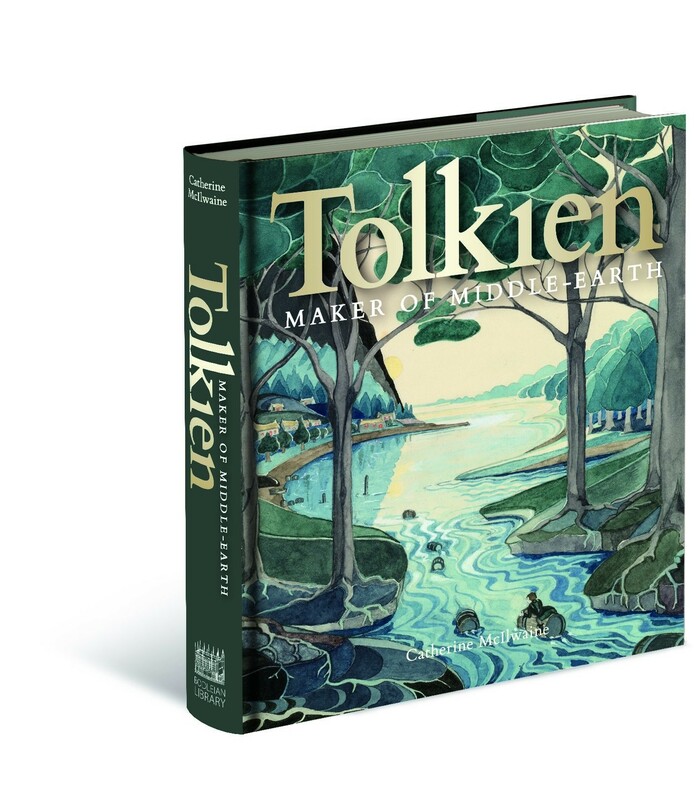 The book brings vividly to life the astonishing range of Tolkien’s skills, from scholar, to linguist, storyteller, illustrator, herald, and mapmaker. Drawing on the Bodleian Library’s vast Tolkien archive, this book gives us a unique and highly personal glimpse into Tolkien’s worlds – scholarly, literary, creative, and domestic. From Tolkien’s childhood in the Midlands and his experience of the First World War to his studies at school and university, and from his exquisite illustrations for his novels to his intricate and beautiful maps showing Middle-earth’s topography, this stunning book, faithfully reproducing many of the treasures of the Tolkien Archive in Oxford, is the perfect introduction to Tolkien’s life and works. 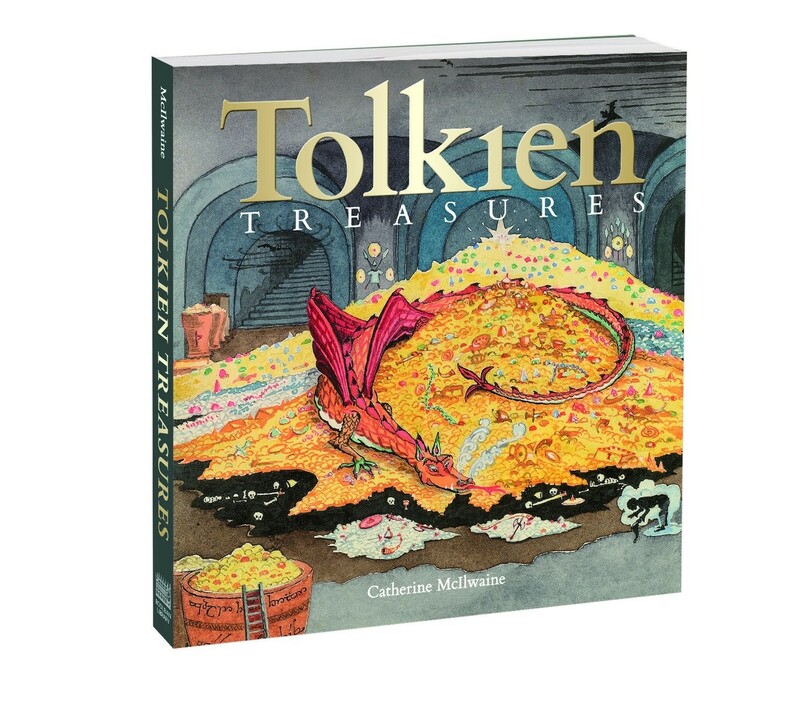 Catherine McIlwaine is the Tolkien Archivist at The Bodleian Libraries, University of Oxford. Those both look great! Thanks or sharing. Trotter, any idea of when this can be ordered/paid for? I ordered mine today through their website.